Kehong Uganda Industrial Development Limited, a Chinese firm has acquired a 99- year lease to use Lubenge wetland in Luweero district amidst protests from residents and environmental activists. The wetland measuring 383.092 hectares, seats on block 766. It spreads from Luweero to Nakasongola district. 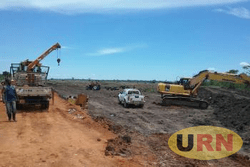 In 2014, the Lands, Housing and Urban Development Ministry leased the same wetland to Treasure Trove Uganda limited, a local firm under freehold. Kehong Uganda Industrial Development Limited acquired the land for rice growing through a transfer from Treasure Trove Uganda limited.